The Society is proud to recognize those organizations that continue to help the Society further its objectives. Company membership fees are used to fund the Student Awards. Corporate and member donations are invited for the Manfred Held scholarship fund. 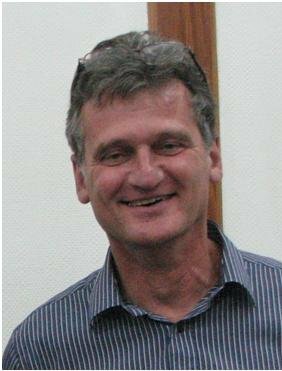 This fund was created in memory of Manfred Held, a world-class ballistician, who attended every International Symposium on Ballistics up to the 25th, held in Beijing in 2010, where the Society was founded. In honor of his achievement Manfred was made the Society's first member. The scholarship fund is being developed to provide ways to help ballisticians further their studies. 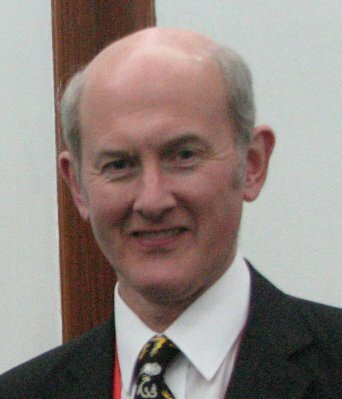 Founding Member of the International Ballistics Society Board of Directors. Comprehensive solutions for constantly changing threats. With three complementary business lines, Nexter Group specialises in a wide range of land-defence systems. Working in close collaboration, the Group's three business lines offer a full range of Products and Services, from systems design to operational maintenance. Nexter's strategy is based on several guiding principles. It strives to enhance continuously its manufacturing plants, seeking to improve responsiveness, performance and environmental safety. Through a research and development policy that welcomes partnerships, Nexter adapts its product line to constantly changing threats. Its entire team is committed to achieving customer satisfaction and upholding company values. Nexter has 2,720 employees, with sales of ?1,286 million in 2009, compared with ?560 million in 2008. The company invests 16% of its revenue in research and development. Descending from Giat Industries, Nexter is continuing a long tradition that could be considered to start in the XVII century, during the reign of Louis XIV in France, when the Royal Arsenal was created at the Bastille, and Colbert developed the arms manufacturing sites. Southwest Research Institute (SwRI) is a nonprofit engineering R&D center. The main facility is a 1200-acre campus in San Antonio, Texas where over 3000 employees perform contract research for both government and industry. SwRI's Engineering Dynamics Department in the Mechanical Engineering Division works on armor and impact physics. SwRI maintains multiple indoor and outdoor ballistic range facilities, where small and medium arms are tested against various armor configurations. At a facility further out of town large explosive tests, including land mines, IEDs, and arena tests are performed to assess the survivability of vehicles and structures. Low, medium, and high-strain-rate laboratory testing facilities provide the ability to characterize materials and then develop constitutive models for use in computational tools. SwRI has extensive experience with the three primary software tools used for ballistics and explosive-loading: CTH, LS-DYNA, and EPIC. SwRI has modified all three for new constitutive models and boundary conditions. Thus, SwRI's numerical work is directly applicable and available to the armor community. The armor and shielding program at SwRI has been funded over the years by the Army, Navy, Air Force, Marines, Department of Energy, NASA, and DARPA. Please, visit www.engineeringdynamics.swri.org for more information or www.swri.org/PMSC/default.htm for the Penetration Mechanics weeklong course taught every year. Founded in April, 1964 and affiliated with the China Association for Science and Technology, the China Ordnance Society is an academic social group composed of science and technology workers for China Ordnance. The purpose of the China Ordnance Society is to serve the defense construction and economic development by organizing science and technology workers and to promote and develop scientific ideas and disciplines. Its main task is to organize academic exchange, publish academic periodicals, promote the development of science and technology, propagate scientific information and popularize scientific knowledge. The Society has general members, senior members and fellows and so on. It has all together 21120 members, among which more than 533 are senior members and 33 are fellows. Currently, the Society has 40 specialized committees which includes ballistics, ammunition, fire explosives, artillery, rocket missiles, small arms, fuses, explosive initiator and pyrotechnics, measuring and testing techniques, automatic control, techniques of explosion and safety and tank armored vehicles. The Society sponsors and publishes dozens of scientific and technical periodicals or popular science journals such as Journal of China Ordnance, Journal of Ballistics,Journal of Gun Launch & Control, Journal of Explosives & Propellants,Industrial Explosive Materials, Optics Technology, Vehicle Engineering, Journal of Detection & Control, Ordnance Knowledge and Small Arms. The Society also publishes a certain amount of conference proceedings every year. 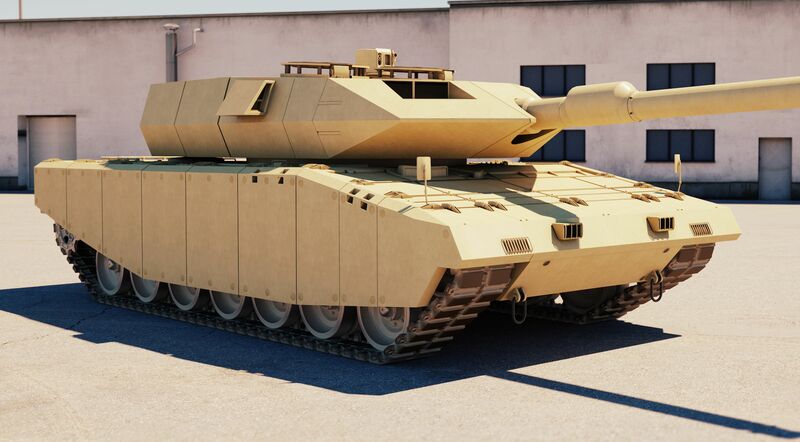 It has successfully held domestic or international academic conferences in the fields of tank armored vehicles, artillery, small arms, explosives & pyrotechnics, reliability, measurement & testing, optics and combustion inhibiting. Earth, Horizon, Space ... Weibel Scientific Reaches Further! Weibel Scientific is the global leader in the market for advanced Doppler radar systems. For over fifty years, we have been designing, manufacturing, and delivering cutting-edge velocity and position measuring instruments to customers around the world. Weibel radars are used to protect lives on the ground, in flight, and in space. R3 Technology, Inc is a small business offering business and engineering services to prime contractors and government clients. The company is led by Mr. Jack Riegel. 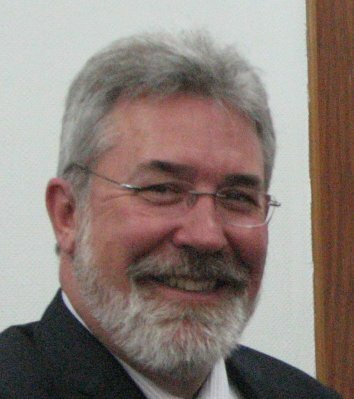 Mr. Riegel has 32 years ballistics, explosive phenomenology, and business process experience. Mr. Riegel is the founding President of the International Ballistics Society. R3 Technology maintains headquarters in Virginia. The company has expertise in dynamic analysis (blast, armor), machine design, chem-bio, textiles, battery technology, lean six sigma, proposal management, black hat and red team reviews, and executive coaching. In addition to supporting the International Ballistics Society, we are members of the Association of the US Army (AUSA), Armed Forces Communications Electronics Association (AFCEA), Air Force Association (AFA), National Defense Industrial Association (NDIA), and the Association of Proposal Management Professionals (APMP). Click here to see the R3 Technology, Inc advertisement. Cage Code: 5V2B0 DUNS 833140648. The solutions acquired at EMI by experimental, computer-based and analytical methods aim at improving the security and reliability of components and structures under dynamic loads. Typical applications are armour and antiarmour, protection against space debris, hypervelocity impacts, light gas guns, light weight armour, impact and crash, sensors and electronics for harsh environments, development of new materials using methods of computational physics, security research, car crash analysis. Positioned at the interface between basic research and industrial application, EMI puts great emphasis on integrated experimental-numerical research. As well nationally as internationally, EMI ranks among the best addresses concerning this claim. 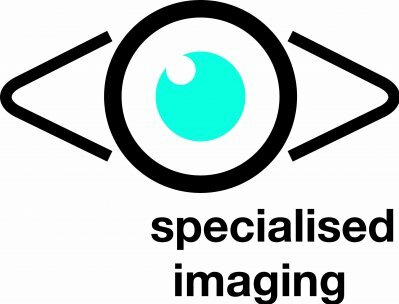 Specialised Imaging is an award winning, dynamic company focused on the design and manufacture of ultra high-speed imaging systems for industrial, scientific and defence research applications. Formed in 2003, the founding directors previously worked together in the high speed imaging field and each brought over 20 years experience to the venture. 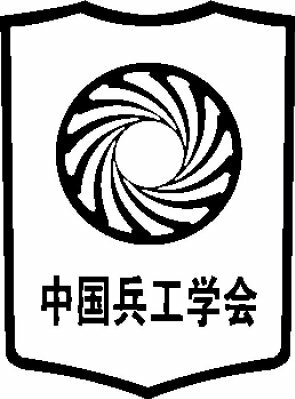 This experience combined with a commitment to innovation and development has positioned the company as an exciting and creative leader in the high-speed camera market. We enjoy problems, and we enjoy finding solutions. At Specialised Imaging we are passionate about creating specific solutions for our clients and to that end, will design and develop new functions and facilities for our systems to exactly match customer requirements. This level of commitment and support continues throughout the life of the product ? on-going advice, problem-solving and the design and reconfiguration of software are all part of our comprehensive after-sales service. The Specialised Imaging has products ranges ideally suited to the field of ballistic research, such as our Multi Channel Framing Camera (SIM) that can take up to 32 high resolution digital images at a frame rate of up to 1 billion frames per second, the Range Camera (SIR3) which has been ruggedized to withstand the harsh environment of ballistic proving grounds and will give one or two 11 million pixel images with exposure time as short as 10 nanosecond and our Tracker flight follower system which is used to observe the performance of a projectile over a significant portion of its trajectory by using a precision controlled positive feedback scanning mirror and a high speed video camera. The leading innovators in the design and manufacture of Ballistic Measurement instrumentation and Live-Fire Training Equipment for both ground and air training. combined with the facilities and expertise of Wiltshire Ballistic Services enables MS Instruments to provide proven, rugged and well built products for most internal and external applications. Our products are used by a number of manufacturing companies, Governments and Armed Forces worldwide and once combined with our leading edge software, this instrumentation delivers flexible and individually tailored solutions. Our equipment is designed to be of the highest accuracy and due to the fact that our equipment is in constant use in testing at Wiltshire Ballistic Services we continuously develop our products. MS Instruments strive to be the world experts on ballistic instrumentation and because of this we have been approached to work on specialised projects and have since developed a covert vehicle protection system for both close protection and possible live-fire environment protection. At MS Instruments we pride ourselves on lifetime care of our products and have expert support all over the world enabling us to network closely with our overseas customers. As well as being a part of the Ballistic ToolKit which is a group of 40 companies all specialising in ballistic products, we can provide complete ballistic solutions with the co-operation of these companies and their resources, MS Instruments presents the capabilities of a large company with the personal detail only a small company can offer. The department of weapons systems & ballistics is unique as it is the only place in Belgium to teach courses in ballistics and weapon systems on a university level. The department is equipped with a modern laboratory containing a 102 m in-door range. Several research projects are performed within the department and its expertise is used for the benefit of multiple third parties (military and civilian). Our department ensures a high quality education through a strong theoretical knowledge combined with state of the art practicals. The choice and use of high-level educational methods is one of our major concerns. Through students feedback and permanent assessment, we improve every day. Our knowledge is supported and updated by selected and efficiently supervised research activities. The know-how of our laboratory is continuously updated and extended by innovative trials for third parties. 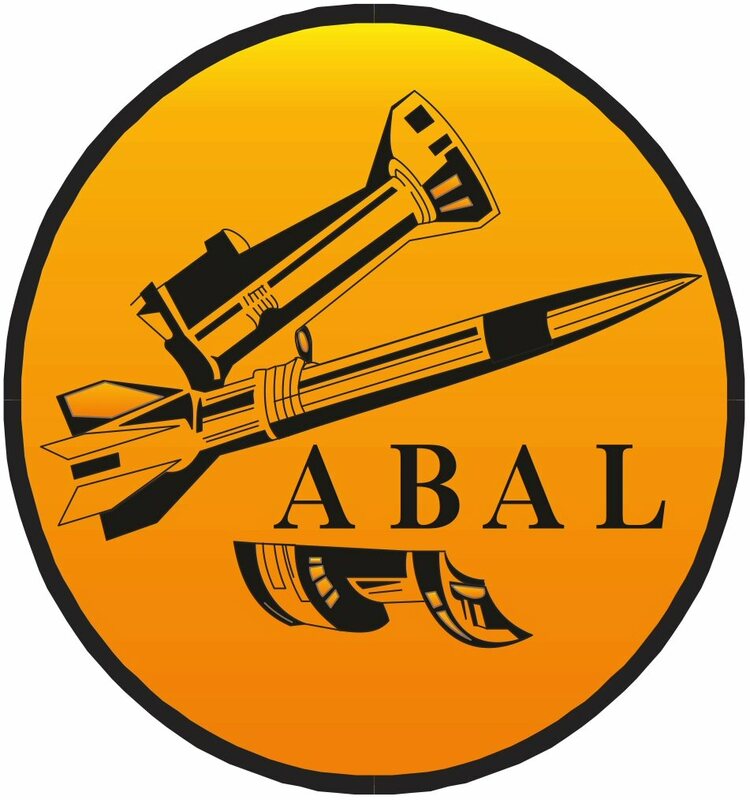 ABAL is member of IBS, Dymat, ARA, VPAM, EEMLS and CIP. SME Ordnance (SMEO) was first established in 1969 as a manufacturer of small calibre ammunition for Malaysian defence needs. With its fervent commitment towards maintaining standards of the highest quality, coupled with its positive track record and enhanced technical skills garnered over its 30 years of experience, SMEO has today become a leading home grown manufacturer of defence related products for the Malaysian and global defence industry. SMEO’s production capabilities now includes the manufacturing of a broad range of small, medium and large calibre ammunition, pyrotechnics, precision engineering, plastic injection moulding, metal and lead based products as well as providing selected specialized services such as refurbishment of old ammunition. SMEO also produces small arms weapon such as Colt M4 5.56mm carbine under licence from Colt Defence LLC, USA. SMEO intends to enhance its position further in the global defence arena by improving on its competency, quality, reliability and cost efficiency. Please visit our website: www.smeordnance.com. NUMERICS is an engineering services and software development company located close to Munich, Germany. We are serving our customers world-wide with innovative tailored solutions to their problems in the complete field of ballistics: from detonation to terminal effects and from constitutive modeling to vulnerability and lethality analyses. We are in permanent contact with universities and other research organizations to include modern technologies, modern methods, and the state-of-the-art in physical and engineering research in all our products and services. NUMERICS is proud to support the International Ballistics Society as a Corporate Member. For further information, please visit www.numerics-gmbh.de/en. Our on-site test range comprises a full suite of environmental and detonation test facilities, as well as the according state-of-the-art measuring equipment for high-speed dynamics. As a full-service company at one integral site in Schrbenhausen, Germany, the value created for our customers ranges from the fundamental research on detonation physics, engineering of warheads to qualification and manufacturing. That is the difference. For further information, please visit www.tdw-warhead-systems.com. 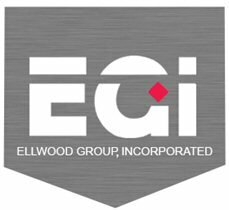 Ellwood Group, Inc. is a family-owned, privately-held company that has been operating for over 100 years. Through growth and acquisition, EGI has become a major supplier of high-quality, engineered, heavy metal components to customers all over the world. While EGI has grown significantly and now employs over 2,000 employees, the same family values are just as important now and they were 100 years ago. EGI's leadership team works closely with employees on important topics such as safety and continuous improvement. EGI employees are skilled professionals who are committed to the long term success of the company. EGI business unit companies manufacture and market metal products to customer in industries such as oil and gas, power generation, mining, infrastructure and construction, aerospace, defense, railroad, automotive, industrial machinery, metal processing, gearing/power transmission, and shipbuilding. Over many years of business, EGI has spent millions of dollars for new equipment and to rebuild existing equipment, as well as to expand our manufacturing spaces. We have increased our capacity and enhanced our capabilities to keep pace with our largest and most technically demanding customers. Our EGI business units are leaders in their field. Combining significant years of experience with the latest technological advances, EGI provides customers with world class products and services they require. We are proud to be a U.S. manufacturer who helps to support our Government in the defense of our country. For further information, please visit www.ellwoodgroup.com. BOGGES is a company focussed on research, development, testing and expertise in the field of ballistic and blast protection. Our team is ready to fulfil your requirements for personnel and vehicle survivability development and enhancement based on advanced materials and technologies. To protect against ballistic threat: Testing and certification of vehicle, personnel and critical infrastructure protection. Complete design route of vehicle armour from integration study on 3D model through preparation of armour panels for ballistic testing up to the vehicle armour prototype production and its full certification according to relevant international and national standards. To protect against mines and IED threat: Design route of vehicle blast protection from numerical simulation through blast tests of panel samples to the blast tests of real vehicle. Testing, development and evaluation of protection against landmines and IEDs including Explosively Formed Projectiles charges. To protect against warheads: Static tests using shaped charge (RPG and ATGM warheads): e.g. testing of reactive armour and spall-liners. Dynamic tests using RPGs and ATGMs: e.g. testing of SLAT armour or active armour solutions. Other requirements: Material expertise. Advanced equipment and skilled experts in the field of terminal ballistic, material characterization and analysis: high speed camera, HYBRID III dummy, acceleration and overpressure sensors, mechanical properties testing, SEM microscopy with EDX, WDX and EBSD, X-ray diffraction, heating microscopy, high temperature dilatometry, environmental testing, etc. BOGGES goal is to fulfil your requirements by combination of high flexibility, skilled team of experts and utilization of most recent equipment and testing facilities. IBD Deisenroth Engineering is one of the leading suppliers of protection systems for light to heavy platforms. With its 35 years of experience IBD has been involved in many large vehicle programs. As of today about 55,000 vehicles have been equipped with IBD?s protection kits. The products of the IBD PROTech Family cover all layers of the Survivability Onion. Therefore comprehensive survivability kits can be designed providing broad band protection against almost every actual and upcoming threat. 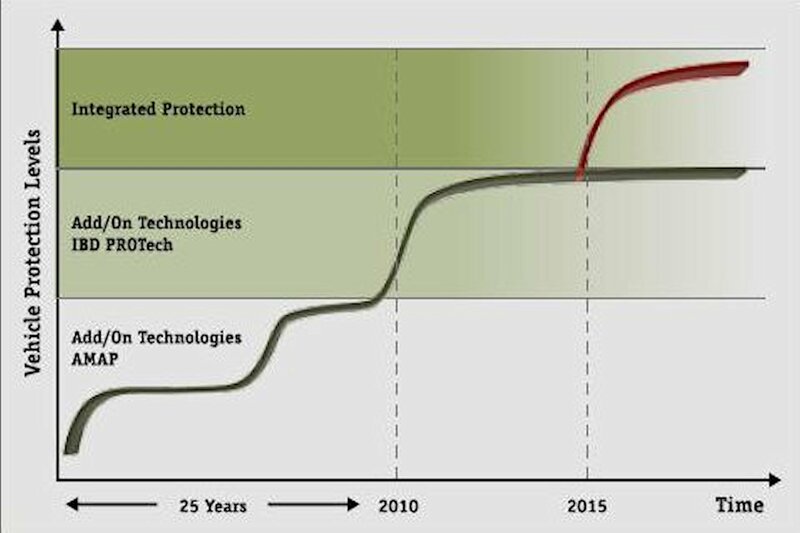 Recent developments in materials and technologies allow for higher protection levels at significantly lower weight. The IBD NanoTech materials show much higher ballistic performance compared to standard materials so that weight savings up to 40 % are possible. Due to new production processes costs for the protection kits using the new products can be kept at the same level as for standard solutions. With IBD?s concept of Integrated Protection new vehicles have been designed with significantly improved basic protection at lower vehicle weight.. The IBD ESPACE Concept is a comprehensive Survivability Concept for combat platforms and has successfully been applied to MBTs and heavy IFVs. Spin-off solutions have been designed and applied to different versions of the Leopard 2.